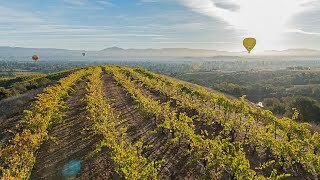 Wine Institute’s new series of short videos, “California Wines: UNRESERVED,” highlights some of the state’s most iconic landscapes as young sommeliers, wine directors and educators explore the role of the senses in enjoying wine, the meaning of terroir, the magic of California’s old vines, and the ways in which food and wine enhance each other. 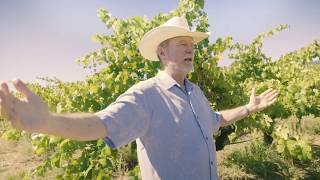 Explore more of Wine Institute’s short videos and see our usage policy below. 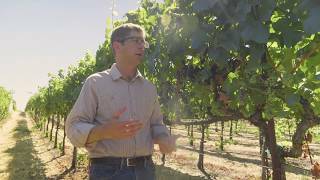 Learn about California's leadership in sustainable winegrowing. 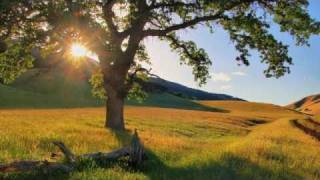 What will you discover on your next trip to California? 50 MWs from 16 countries participated in a once-in-a-lifetime tour showcasing 600 wines from 60 AVAs throughout the state. 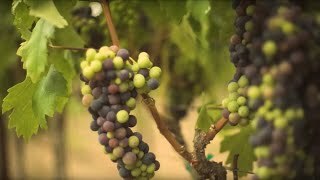 Veraison is the stage in the growing season when winegrapes change color from green to red and begin to develop flavor. 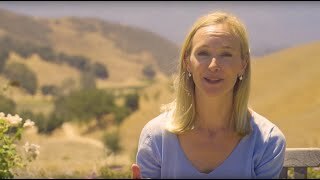 A drive through California shows how the state’s 800 miles coastline and unique landscape create diverse microclimates for wine. 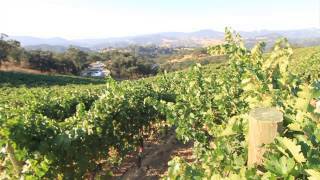 September is California Wine Month. It's also the perfect time to toast the state's ideal winegrowing climate. 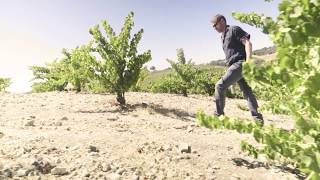 Discover how a winegrape variety from the Caucasus mountains found the perfect home in California. 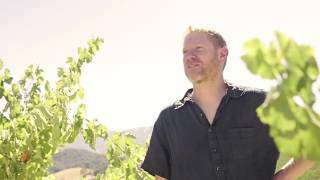 Freedom and experimentation are part of California’s winemaking tradition. 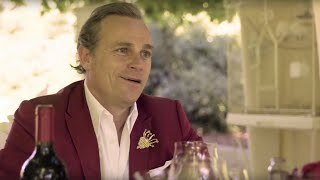 California winemaker Jean-Charles Boisset on the power of wine to bring people together. 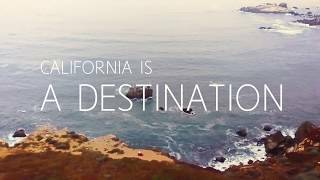 This 3-minute video takes viewers on a stunning, end-to-end road trip of California, from a wine insider's perspective. Learning to experience wine with two very different California chardonnays. Sommeliers translate their knowledge of wine and your taste into the right bottle. 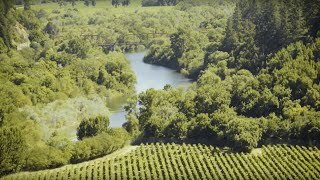 California's wineries and vineyards lead the world in the adoption of sustainable practices that benefit the environment, community and high quality wine. A glass of wine is a snapshot of always evolving wines and palates. How vineyard rocks hold winter rain for summer’s vines. 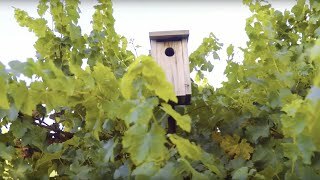 From the vineyard to the cellar, the many practices that make a winery sustainable. How vines can thrive in California’s arid climate. What’s reflected in a glass of wine? 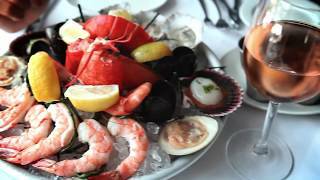 Whether you're a California local or just want to live like one, this visual feast is sure to whet your appetite for pairing California wines with fresh and innovative California-style cuisine. The gateway to Northern California wine country. The weather, the grapes, the vineyard, the winemaker—all of these combine to make a glass of California wine. Some California winemakers try to put into words what the smell of the cellar evokes for them. For winemakers, California is a place of endless possibility. 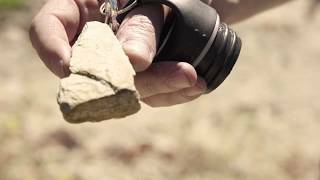 Small differences in weather and topography can make a big difference in the quality and flavor of California wines. 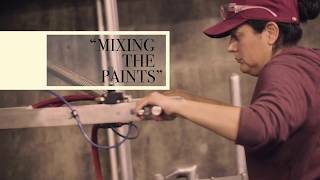 Winemaking: the perfect synthesis of science and art. You could say that every month is wine month in California but September is extra special because it’s harvest time. 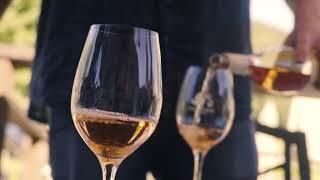 Wine Institute Image/Video Policy: All materials provided by the Wine Institute of California must be published, broadcast or printed while representing California wine as editorial content only. No image/video may be used directly in an advertisement of any kind. Wine Institute does not give copyright exclusivity for any image, and all images and materials on loan are the property of Wine Institute. Wine Institute requests credit for images used: “Photo courtesy Wine Institute of California.” Please notify the Wine Institute Communications Department when an item is used in any publication or media: 415/512-0151 or e-mail: communications@wineinstitute.org.